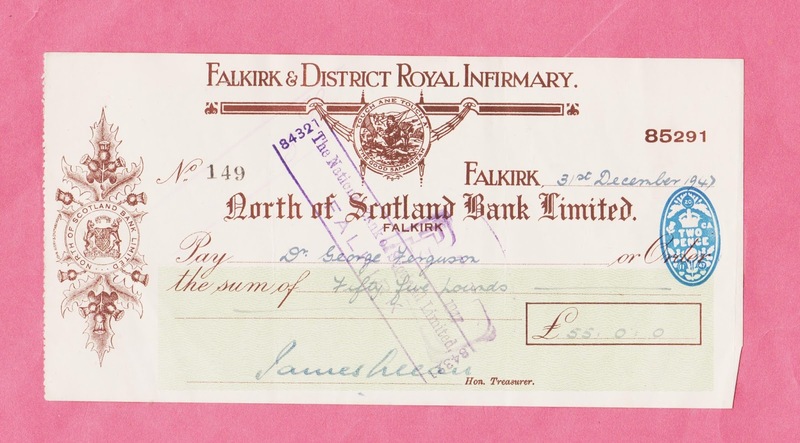 Specially for those who enjoy ephemera, we present this vintage cheque drawn on an account held by Falkirk and District Royal Infirmary with the North of Scotland Bank Ltd. 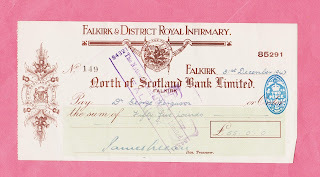 Dated 31 Dec 1947, the cheque authorises payment of £55.00 to a Dr George Ferguson, whose signature appears on the rear of the cheque. To learn more, click on http://stores.ebay.co.uk/hoonalooncollectables .